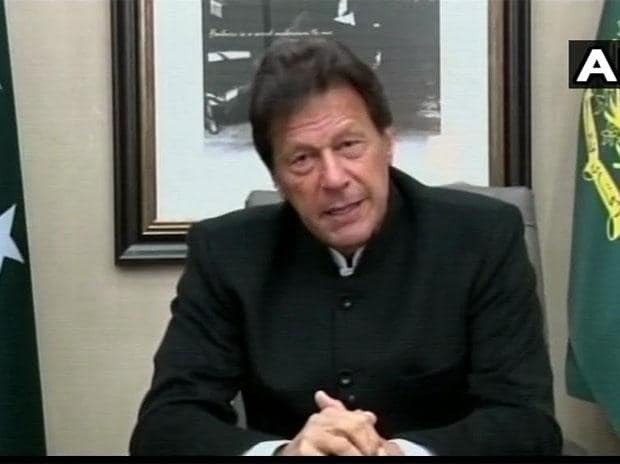 Khan assured India that he would act against the perpetrators of the Pulwama terror attack if New Delhi shares "actionable intelligence"
The Congress on Tuesday slammed Pakistan Prime Minister Imran Khan's statement on the Pulwama terror attack in which the cricketer-turned-politician warned against any "revenge" retaliatory action, saying he was speaking the "Jaish-e-Mohammad's language". Khan on Tuesday assured India that he would act against the perpetrators of the Pulwama terror attack if New Delhi shares "actionable intelligence", but warned against any "revenge" retaliatory action. Forty Central Reserve Police Force (CRPF) personnel were killed when a Jaish-e-Mohammed suicide bomber rammed a vehicle carrying over 100 kg of explosives into their bus in Jammu and Kashmir's Pulwama district on February 14. In a video message to the nation, Khan responded to the Indian allegations on Pakistan's involvement in the attack in Kashmir last Thursday. "Regrettable and shameful -- Pakistan Prime Minister Imran Khan is still speaking Jaish-e-Mohammad's language," Congress' chief spokesperson Randeep Surjewala said. "Do not forget that Mrs. Indira Gandhi and the Army in 1971 had broken Pakistan into two and liberated Bangladesh, as well as 91,000 Pakistani soldiers had surrendered to the Indian Army in Dhaka," he tweeted.